Vietnam lightweight pots can be deal with effect of frost or bad weather. You can put your pot outside year by year and never mind about the damage, another side, with a huge of shape we can provide for customer a lot of choice for ironstone outdoor pot. Vietnam lightweight pots add a new look to indoor and outdoor spaces, making them a focal point of any landscaping or decorating project. As a wholesale light weight planter and pots in Vietnam, Hieta garden has a wide range of random variations of pots with antique charm and mystery. Hieta garden offer a variety of lightweight pot for importer, retailer, garden…We provide different kind of shape, dimension to customer around the world, help them optimize the business with our pots such as: atlantis pot, outdoor pot, indoor pot, garden pot, cement pot or fiberstone pot. Our experience and technical knowledge help us export our product to global market. 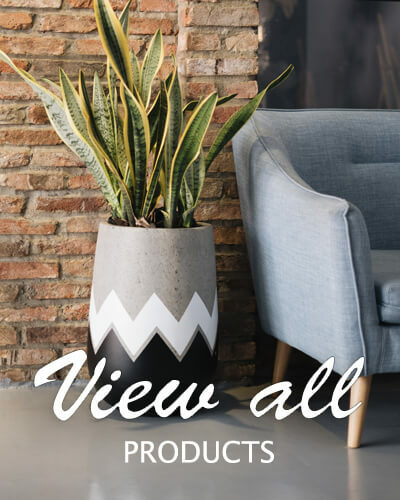 Grow up your business and drive them revenues with our best planter pots. We always hope customer can flying over to Vietnam and visiting the factory. Some own customer wanted to see directly all our products. They need to take a close look at our products is on the factory. If you come to Vietnam, please don’t mind inform to us to arrange a meeting with us. We usually follow FOB term for our list. If terms of delivery of a transaction is on FOB means, the cost of movement of our pots and planter on board of ship is borne by us. Rest of all expenses to arrive the goods at buyer’s premise has to be met by the customer who buy Vietnam pottery pots from us.